Texting My Pancreas: Guest Post: The Weight. First of all, thank you, thank you, Kim!!! For reading my blog, and asking me to guest post. I am honored to be posting on one of my absolute favorite and resourceful dia-blogs, and am excited to reach and connect with a whole bunch of new peeps in the DOC. "It's the Muppet Show, with our very special guest blogger, Kaaaaate Boylaaaannn! YAYAYAYayayayayAYyYAY!" My imagination is far too active sometimes. Soooo, I've been thinking a lot about weight recently. Body weight: Since age eighteen, when I decided to give my shoulders a rest and stop competing in the pool, I've gained a pesky fifteen pounds that refuse to shed from my body no matter the months of intense workouts, or low insulin averages. I feel good and healthy by being active and athletic; I feel strong. I do, however, still feel (even after eleven years), heavy and uncomfortable in my own skin, and that weighs on me emotionally as well. Emotional weight: This diabetes thing has been in my life since age four, for 25 years, never once taking a break. (The nerve! But, on the other hand, you have to admire diabetes' stamina for sticking around so long, and with such consistency.) It's HEAVY to carry around all the time. It's HEAVY to face day-in and day-out, when things are good, and when they are not so good. It's also super heavy when you've got other heavy things happening in your life, and you still have to pay attention to it. Just as diabetes has stamina, you have to muster up an equal amount, or more, to psyche yourself up and face it every day. The weight of guilt: When I slack on testing, or know ‚ÄúI-shouldn't-eat-this-now-but-when-am-I-going-to-get-to-eat-and-bolus-oh-who-cares-it'll-be-ok-I'll-bolus-later-and-just-this-once-it-won't-effect-the-A1C-I'm-desperately-trying-to-lower.‚Äù Or, feeling guilty when I am sitting on my own little pity pot while on the T (you can't call it a subway and make it easy, Boston? ), thinking to myself about how tired I am of carrying around/battling/wrangling diabetes along with life's other emotional issues, when at that very moment, I move aside for a man about my age (29) zooming into the car, smiling to me and saying "Thanks for making room," as he bends down and locks his wheelchair wheels. It's then I feel like a real... tool. All of this weight adds up to emotional turmoil. For me, when I am emotionally flummoxed by any and all of this, I experience the physiological effects of said flummoxed-ness. Cortisol streams through my system and I get physically bloated. My blood sugar rises and hovers around 200. Anxiety sets up a permanent storefront in my brain. The weight of everything actually gets heavier. This week, some of this weight was lifted. Upon realizing this, I recognized easing the burden of some of the weight is why I sought out the DOC in the first place: to share the load emotionally, therefore having positive effects on all sorts of different aspects in my life. I approached the DOC about two years ago, when it dawned on me that other people have to write, converse, kvetch and ask questions about the very same boat I am in everyday. At the time, I was working at a college library's reference desk, and mentally smacked myself for not thinking and researching earlier being that it was my job to help find answers to people‚Äôs general queries. I stumbled upon Six Until Me and Texting My Pancreas. I read every day, thinking to myself about how these women were living my life and thinking very similar thoughts, not only about insulin, pumps, injections, endocrinologists, and health insurance, but music, cats, dogs, travel, exercise, and life aspirations. They made me feel comfortable for the first time in a long time that I have diabetes. At that point, I had been a person with diabetes for 23 years. When I was diagnosed, my parents and I attended group meetings for parents and children with diabetes up until I was nine or ten. My mom was always scouting out other diabetes support groups for kids my age, and I even went to diabetes camp (having a pretty bad experience when they put me on THE WRONG INSULIN-- but I'll save that for another post). For the most part, however, I lived with diabetes solo: I was the only person in my family, my school, my neighborhood with Type 1, and didn't want or feel the need for camaraderie. I felt very much that it was my battle to fight, and that it wasn't going to stop me from doing anything; I could handle it all myself (a theme in my life) and be diabetically unique while doing it all. Furthermore, I felt that other people didn't need to be bogged down by "my problem." When I approached the DOC, I was shy: I didn't know what vocabulary to use, or even what questions to formulate and ask. I wanted to be able to dive in with ease, immediately starting to write and connect with people, but having never done that, I sat back, observed, and used my research skillz to learn that there is this incredibly diverse, supportive, world-wide community of people who all want to learn and support each other as WE fight this battle every day. As clichéd as it might sound, knowing that I wasn't the only one lifted a huge emotional weight off of my shoulders. I started writing a blog this winter, as I finally felt as though sharing my experiences and words could be useful to and appreciated by the DOC. I bucked up and told myself, "Who cares if my experience was exactly the same as so-and-so's? Doesn't that make us stronger?" 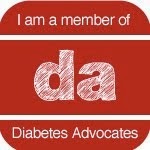 I wanted to advocate for furthering research, and to advocate and be a catalyst for connection among folks with diabetes. 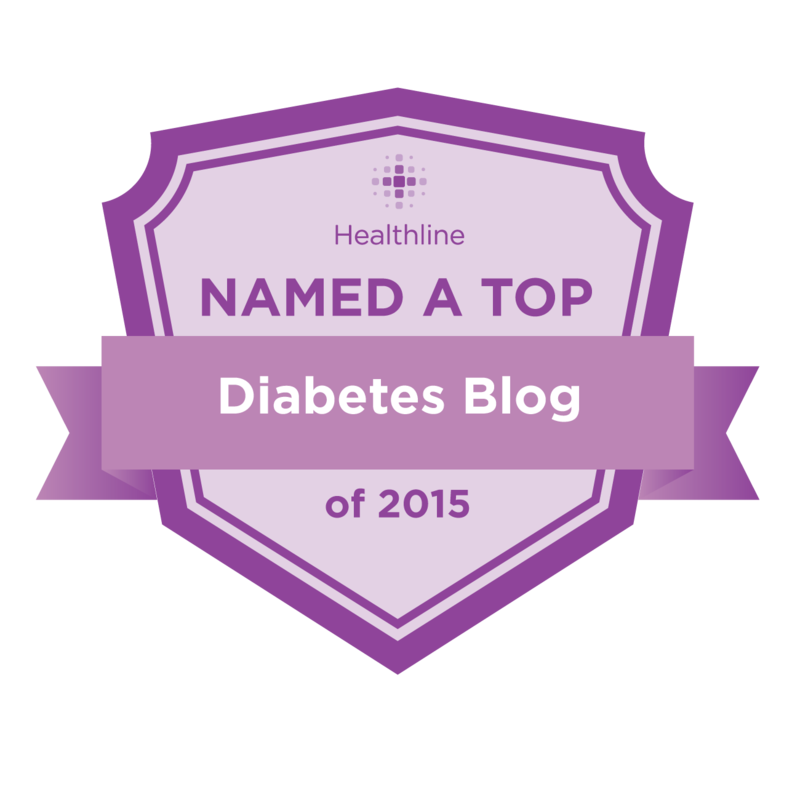 Rather than sitting back half-heartedly searching for hash tags like #Type1, #diabetes and watching conversations like #dsma happen on Twitter, or not commenting on people's blog posts, I started saying, "Me, too! I know what this is like!" A few weeks ago, the stars aligned and a group of Boston-based d-ladies got together after starting a conversation via Twitter and email. Some of them knew one another and had hung out before, and some of us were newcomers. I was nervous, thinking, "Will I be the only one who has had Type 1 since childhood? Will I be the only one who is thinking about pregnancy? What if I am on a completely different page than these gals? Can I do this? I haven't really done this since I was nine. Maybe I should just be quiet, or bail." If you know me, being quiet is not exactly my strong suit. I LOOOOOOOVE connecting and communicating with people, and I HATE bailing on things because I then feel guilty and resentful of myself for poor decision making and missing out on opportunities. I decided to go for a run before our dinner (and get those happy, confidence-boosting endorphins flowing), and found that as we introduced ourselves, talked about our careers, our frustrations with diabetes, our interests, our pumps, our situations--how diabetes weaves in and out of our lives-- it was GREAT. It was cathartic, fascinating, helpful in terms of tips and tricks and learning about what people have researched and what kind of groups they are involved with, and FUN. Who knew that talking about all things CGM could be fun? I came home that night, happy and light, reporting to The Hub that I felt like a stronger woman. Then, this week, I met up solo with a gal from the group who is also thinking of and preparing for trying to get pregnant. It was a balmy 75 degrees in Boston all week this week, and we sat outside a burger joint, sipping vino (yes, at a burger joint) and talking about being English majors, OmniPods vs. tubing, husbands who are attorneys (something we share), doctors, and how even when we do our very best to "control" diabetes, we feel as though diabetes controls US. I talked about being self-conscious about the fifteen pounds I've put on since my 'retirement' from competitive swimming, and how frustrated I get because diabetes, and stress, and life seems to keep the pounds on. Just being able to say those words to a person, and them understanding the reasons behind all my individual frustrations, while sharing her own frustrations different than mine, and yet being on the same page about everything was pretty... enlightening. Our night out defined why I sought out the DOC. I live in constant hope for a cure for diabetes, but until then, I know I will have to carry the weight of diabetes all the time. I know that I'll struggle with my small frame and a few extra pounds. I'll struggle (and maybe sometimes excel) at wrangling emotions and tough situations in life, and diabetes will be there in the pounds and in the wrangling. But, I don't have to do it alone. I can quietly seek out reassurance. I can read, and research. I can loudly commiserate. There are plenty of people out there saying, 'Take a load off, Kate. And put the load right on me." That notion alone lifts worlds of weight off my shoulders. "The Weight" by The Band, featuring The Staple Singers, from The Last Waltz uploaded by dogheadio on YouTube. Kate Boylan is an incredibly persistent (read: tenacious), stubborn yet bubbly, people-loving and lively Italian-Irish kid from Staten Island, New York. (Though she has mixed feelings on the isle settled by the Dutch at present, it is definitely NOT [all like] the [show] "Jersey Shore," and she's proud of her hometown.) She lives in, and is still getting used to Boston (even after a decade), with her best partner in crime, "The Hub." Kate has had Type 1 diabetes for 25 years (diagnosed at age four), and recently switched from multiple daily injections (Novolog & Lantus) to a Minimed Paradigm Revel pump (Novolog), and she's loving it. Kate is contemplating seeking out a CGM, and welcomes pros and cons! She is way into music, tries to maintain being athletic and stuff; loves food and cooking and good red wine, and scotch nice and neat, and baking, and art and museums, and movies and film theory, and libraries and old books, and family and friends and traveling everywhere and people. Whew, right? By day, Kate is an Information Specialist (read: fancy new term for Librarian), and is interested in the sociopolitical and economic impact of emerging media and technology on, well, the world. She gets jazzed by thinking about information and media preservation, information literacy, information creativity, and critical inquiry of all of the above, not just relative to her job, but in all aspects of life. Thanks so much for posting this, for some reason, I really needed to hear that there *ARE* others out there that are going through the things I'm going through today. Even though you've posted the same idea many times, reading this post today made me really want to seek out fellow Type One-ers in my area so I have someone who knows what I'm going through. Thank you.